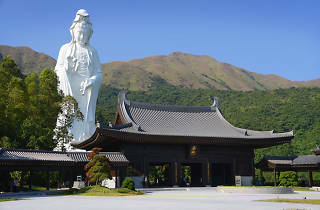 In short, Tsz Shan Monastery is the heady Buddhist nirvana of one the world’s richest men. Since Li basically may as well have invented money, no expense has been spared in making this monastery the formative religious compound of its kind. Though this is in no way a bad thing, the monastery is a gift to all, a means to promote Buddhism and to create a sanctuary for those who already practice it. The 500,000sq ft compound is both state-of-the-art yet reverentially traditional in its composition. Found in Tai Po’s Ting Tsz hills near Tai Mei Tuk, Tsz Shan is grandiose, Tang dynasty-styled goodness. It’s free for the public to visit and, considering the sweeping majesty of it all (minus the over-zealous eyesore of a car park), it deserves a look in. 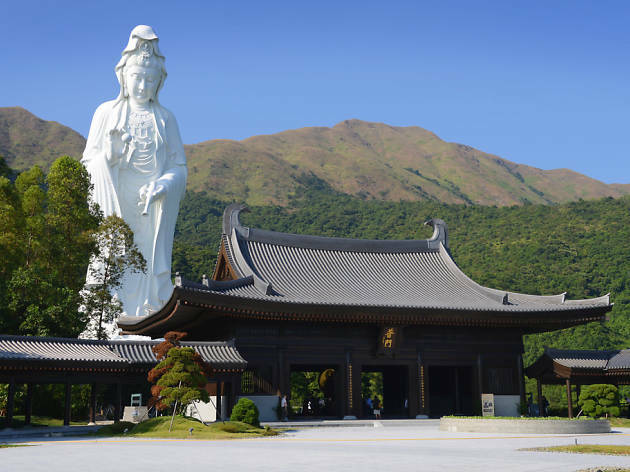 In a bid to maintain Tsz Shan’s serenity and to avoid upsetting its undeniably harmonious surrounds, there’s a strict limit on how many people can visit every day – which, along with it being free, is a condition we applaud. As a means to keep things civil and organised, you can book a time to visit online on a surprisingly elegant timetable (be warned, though, at the time of writing, the wait time is eight days). If you’re keen to get your name down, head to tszshan.org and you’re about five clicks away from hearty spiritual goodness. Despite the decidedly agricultural nature of your surroundings, Tsz Shan is actually not too much of a trauma to get to – head to Tai Po Market MTR Station, jump on the 75K bus, hop off at San Tau Kok Station, then just follow Tung Tsz Road and make a right when you see Universal Gate Road. You’ll see the monastery in front of you (see map below). Sounds like a total expedition but it’s really not too bad. Open to the public Mon-Fri, 9.30am-5pm. Free visitation can be arranged at tszshan.org.